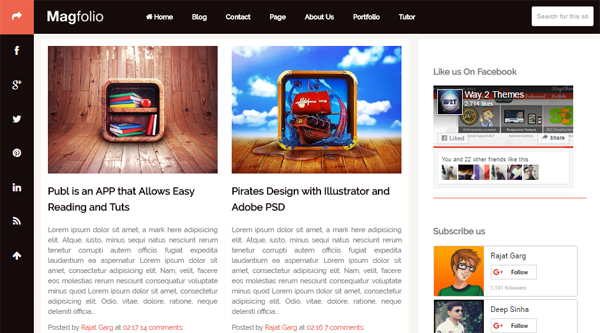 Magfolio Blogger template is a Colorful yet powerful theme for displaying your work. Magfolio is compatible with most of the modern browsers and is 100% responsive and it is also 100% search engine friendly. You can show your blogging work with this awesome responsive blogger template. Magfolio comes with built-in features like customized label cloud widget , grid style post layout, threaded commenting system , social friendly, seo optimized and more. Following are some of the key features of the Magfolio Blogger Template.